When will be Street Outlaws: Overdrive next episode air date? 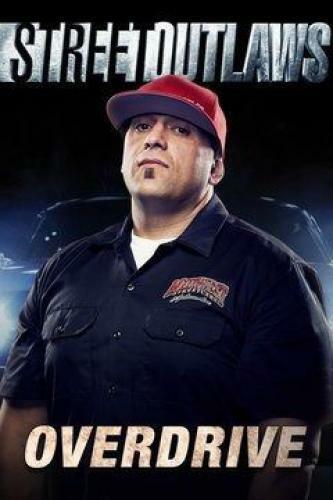 Is Street Outlaws: Overdrive renewed or cancelled? Where to countdown Street Outlaws: Overdrive air dates? Is Street Outlaws: Overdrive worth watching? Street Outlaws: Overdrive features deleted scenes from the Mega Race vs. Fast N' Loud and gives an extended glimpse at what happened during the epic showdown between the two Discovery auto shows. Sean and Doc get ready to race again with business continuing as usual on the 405; Farmtruck and AZN line up against a twin turbo Mustang. The 405 rushes to get ready following a last-minute call-out from Ohio; Farmtruck and AZN fish out a Hot Rod; Kamikaze gets ready to bring the El Camino back. Chief decides to kick all the Pro-mods off the list; everyone loses their spots on the list and must race to find out where they belong; deleted scenes from the big Mega Race. JJ and his racers from Memphis come to OKC for two nights of racing; Farmtruck sets AZN up with a race against a doctor with a super car. Street Outlaws: Overdrive next episode air date provides TVMaze for you. EpisoDate.com is your TV show guide to Countdown Street Outlaws: Overdrive Episode Air Dates and to stay in touch with Street Outlaws: Overdrive next episode Air Date and your others favorite TV Shows. Add the shows you like to a "Watchlist" and let the site take it from there.